Celebrate! £20,000 in HLF funding secured for the WW1 in the Vale project! We’re on our way! I’ve had to be very quiet about this one, whilst it was in development, but I am now happy to report that Pershore WI and Pershore Heritage & History Group (alias the WW1 in the Vale team) are celebrating the award of £10,000 each from the Heritage Lottery Fund First World War: Then and Now programme. 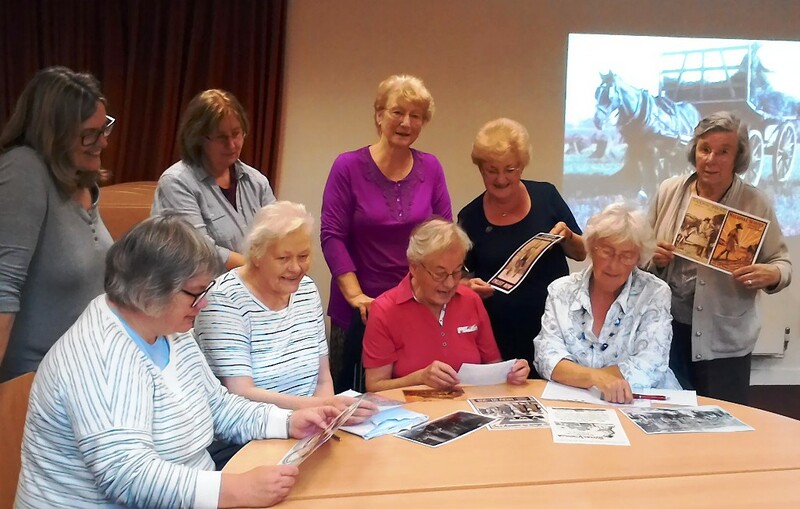 It’s been a long journey and a lot of hard work all round since Maggie Andrews and I produced the first public consultation event back in October 2014 at the Almonry in Evesham, but this grant award means that we can now get cracking on our research and events programme to find out more about life in the Vale during World War One. Pershore WI members will celebrate the centenary of their branch, founded in November 1916 as one of the first Women’s Institutes in the county. They will uncover the lives of its original members, including Viscountess Deerhurst of Pirton, Mrs Beynon, wife of the manager of the Pomona Jam Factory, and the wives, daughters or servants of engineers, bricklayers, tradesmen and market gardeners in the area. Pershore Heritage & History Society will be investigating ‘How the Pershore Plum Won the War’. The fruit and vegetables grown in the Vales of Evesham and Pershore were essential to the nation’s food production. Many local residents combined market gardening and fruit growing with other trades such as pub landlord or wheelwright. The project team will be co-ordinated by Jenni Waugh Consulting Ltd (me!) and supported by Professor Maggie Andrews, students from the University of Worcester, the Voices of War and Peace World War One Engagement Centre, Pershore Library staff and Pershore Town Council,. We will also work with artists, an oral historian and a film-maker to record our discoveries, and have a year’s worth of exciting events and activities planned. We also plan to produce touring exhibitions, a WW1 Pershore Town Trail and films of Food Preservation Demonstrations. We will also host a number of craft activities for children in the local library and other public events. A book based on our research, How the Pershore Plum Won the War, will be published by the History Press and available for sale in time for the Pershore Plum Festival in 2016. For further information about World War One in the Vale or to get involved, follow the project blog or contact me directly. Fantastic result Jenni, well done to you and the team!